The opener is an American built 141R of the French Railways, SNCF. 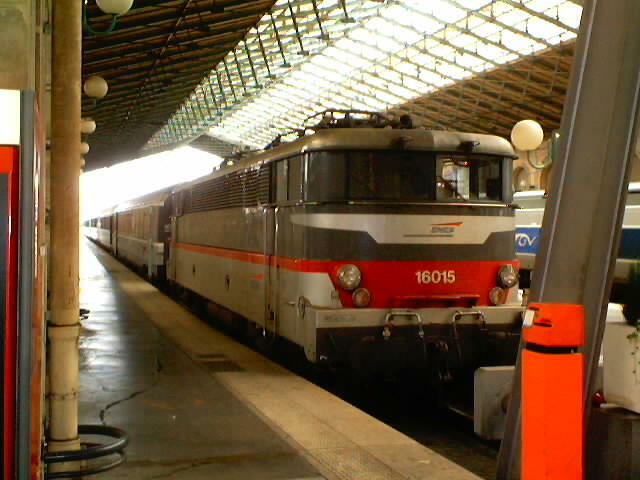 Number 141R840 is seen here at Montluçon on a special train. She is preserved by L'AAATV Cosne sur Loire, la 141R840 who have allowed me to use this photo. 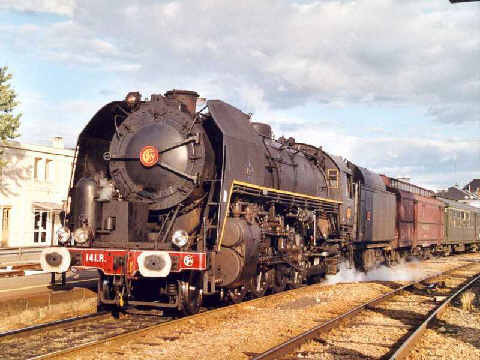 The reason for including it is that I saw one near La Rochelle in France on a Bordeaux to Quimper train way back in 1970. 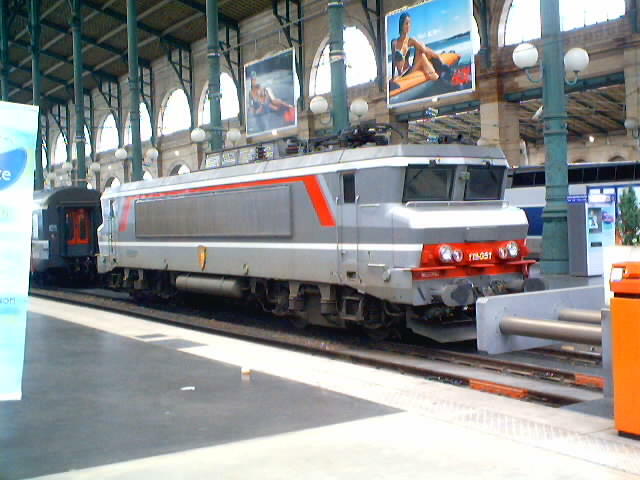 Moving bang up to date is a TGV Thalys unit seen at Paris Gare du Nord in May 2002. 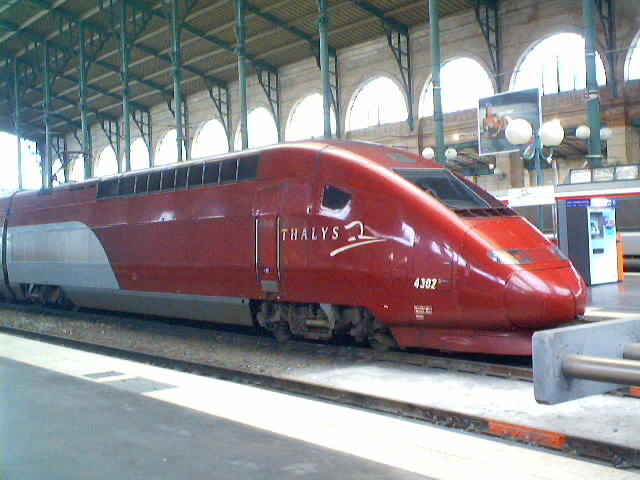 The Thalys service runs to Belgium and beyond using, for part of the way, the same route as Channel Tunnel bound Eurostar trains take as far as Lille. Also in the Gare du Nord was a BB15000, with the characteristic French styling feature of a reverse rake windscreen. It was standing clear of the train of Corail stock which it had brought in from North East France. Corail stock is the latest pre TGV passenger stock on the SNCF and covers the main non TGV services. 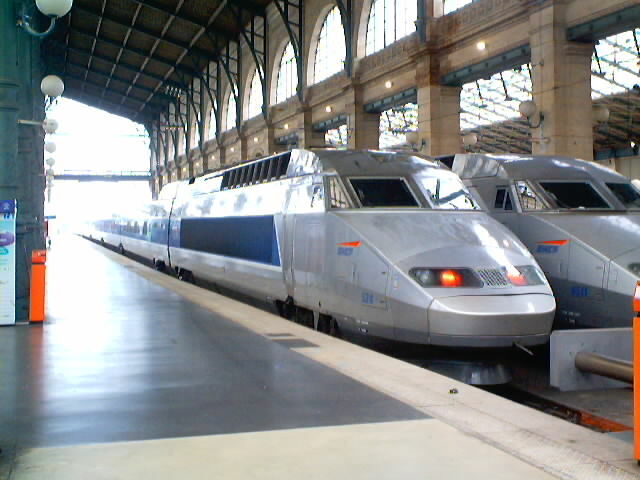 A pair of domestic TGVs stand between turns, again at the Gare du Nord. The French network of Lignes à Grande Vitesse (High Speed Lines) is steadily growing and the number of services worked by TGV's (Trains à Grande Vitesse - High Speed Trains) is increasing accordingly. A final view of the Gare du Nord sees BB16015 after arrival at the head of rake of Corail stock. The French have invested heavily in their rail system, their standard "walk on" fares are about a third of those in Britain - with the result that although the French have higher levels of car ownership they use the train more. Gare du Nord photos by Stéphanie Dinez. 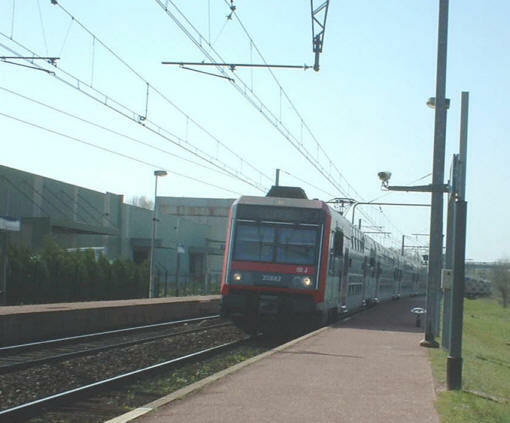 A RER Ligne D service arrives at Mennecy, south of Paris. The RER lines are suburban lines linked across Paris, the bulk of such services around Paris are now part of the RER network which are mostly worked by double deck units such as are seen here. the low platform height allows for greater width lower down, this together with the greater height possible in France makes double deck trains possible, not just for suburban services but also TGVs. 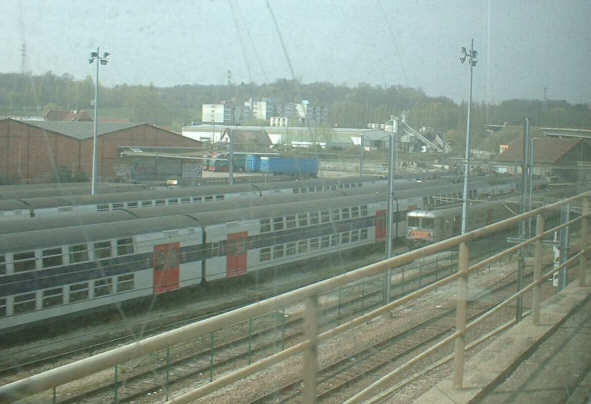 Another view of RER stock, this time in the yard at Corbeil Essonne viewed from a passing RER train. Also visible is one of the fast disappearing single deck stainless steel units. RER photos by John Nelson.